Lulworth Education contracted Osis to produce 3 multimedia CD-ROMS containing a variety of key stage learning resources. 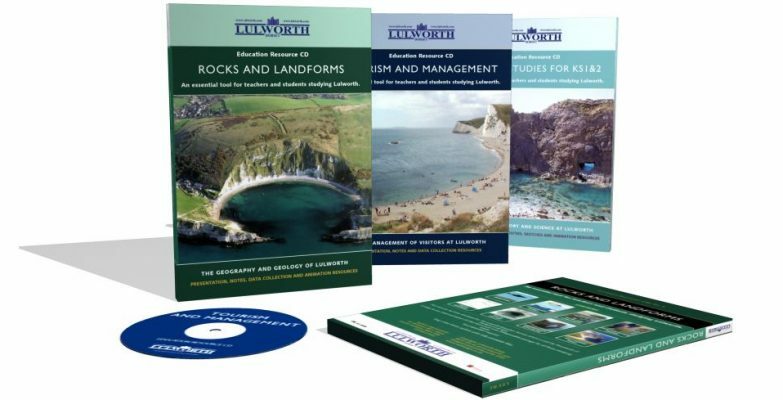 Lulworth Education officers are very active in promoting and educating the public about the local area which comprises some of the most famous geological formations in the UK. They have produced a wealth of learning materials on various topics which we were asked to present on CD for sale to the public. We worked closely with Lulworth Education to ensure the presentations were easy and intuitive to use, and that they were suitable for the target audience. Osis produced several geology and geography animations which are included in these CD-ROMS. Osis also produced an interactive touchscreen display which is displayed in the Lulworth Visitor Centre, as well as various graphic and 3D assets used around Lulworth Visitor Centre and Lulworth Castle.